Two terms behind most of her classmates, new girl Darrell feels out of place and alone. Soon, however, Darrell makes friends as well as enemies. 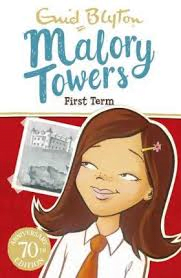 She grows with her friends as they induct new students, win and lose sporting matches, learn to control their tempers and play tricks on teachers. There is never a dull moment at Malory Towers!